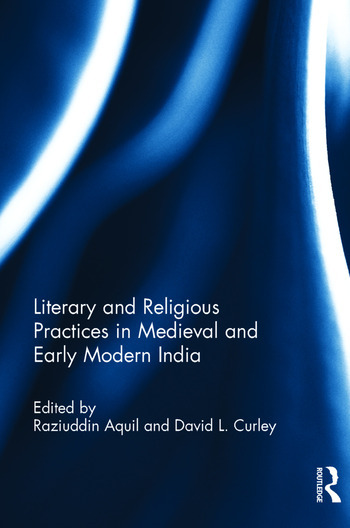 Covering the history of medieval and early modern India, from the eighth to the eighteenth centuries, this volume is part of a new series of collections of essays publishing current research on all aspects of polity, society, economy, religion and culture. The thematically organized volumes will particularly serve as a platform for younger scholars to showcase their new research and, thus, reflect current thrusts in the study of the period. Established experts in their specialized fields are also being invited to share their work and provide perspectives. The geographical limits will be historic India, roughly corresponding to modern South Asia and the adjoining regions. Chapters in the current volume cover a wide variety of connected themes of crucial importance to the understanding of literary and historical traditions, religious practices and encounters as well as intermingling of religion and politics over a long period in Indian history. The contributors to the volume comprise some fine historians working from institutions across South Asia, Europe and the United States: Matthew Clark, David Curley, Mridula Jha, Sudeshna Purkayastha, Sandhya Sharma, and Mikko Viitamäki. Raziuddin Aquil is Associate Professor in the Department of History, University of Delhi, India. David L. Curley is Professor Emeritus in the Department of Liberal Studies, Western Washington University, USA.